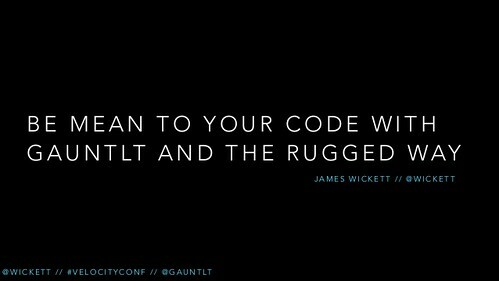 Gauntlt is a security testing framework that provides hooks to a variety of security tools and puts them within reach of security, dev and ops teams to collaborate to build rugged software. It is built to facilitate testing and communication between groups and create actionable tests that can be hooked into your deploy and testing processes. To use gauntlt, you will need one or more attack files. An attack file is a plain text file written with Gherkin syntax and named with the .attack extension. For more info on the Gherkin syntax, have a look at Cucumber. A gauntlt attack file is almost the same as a cucumber feature file. The main difference is that gauntlt aims to provide the user with predefined steps geared towards security and durability testing so that you do not have to write your own step definitions, whereas cucumber is aimed at developers and stakeholders building features from end to end. Gauntlt and cucumber can and do work together harmoniously. # simplest.attack Feature: simplest attack possible Scenario: When I launch a "generic" attack with: """ ls -a """ Then the output should contain: """ . """ You will need to install each tool yourself before you can use it with gauntlt. However, if you try to use a tool that is not installed or that gauntlt cannot find, you will get a helpful error message from gauntlt with information on how to install and/or configure the tool for use with gauntlt. The authors also include a generic attack adapter that allows you to run anything on the command line, parse its output and check its exit status. 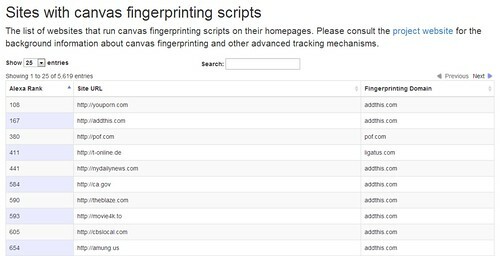 So tracking is getting even trickier, it seems canvas fingerprinting would work in any browser that supports HTML5 and is pretty hard to stop as a user, as it’s a basic feature (a website instructing your browser to draw an image using canvas). And it turns out, every single browser will draw the image slightly differently, so they can track you regardless of your cookie/privacy settings by asking your browser to redraw the image then I assume quickly scanning a database of image checksums for a match. It wouldn’t exactly tie to your identity (unless you did it on a site that requires/supports login) but it would tie your usage together across sites, especially any sites using AddThis (which I could never stand). A lot of sites use AddThis, so a lot of users are being tracked, the article/research states 5% of the top 100,000 websites. So at least 5000 high traffic sites are capturing user data in this rather underhanded way. I can foresee a lot of people removing AddThis from their sites if this news gets any kind of traction. It’s all pretty shady, but honestly we have to assume people are doing this type of stuff because one of those most valuable things you can create from the Internet is user data. Especially usage/consumption patterns, even if it doesn’t tie to specific humans – the data itself is very valuable to people making marketing decisions based on it. Plus whatever AddThis is doing isn’t regulated in any way, so they can say they are gonna stop/change but just continue on anyway. If you wear a Tinfoil hat, you are probably already using Tor Browser anyway – so good for you. clipcaptcha is an extensible and signature based CAPTCHA Provider impersonation tool based off Moxie Marlinspike’s sslstrip codebase, which we mentioned back in 2009 – SSLstrip – HTTPS Stripping Attack Tool. Depending on its mode of operation it may approve, reject or forward the CAPTCHA verification requests. It maintains an easy to edit XML configuration file that it queries to identify CAPTCHA provider request formats and render corresponding responses. All CAPTCHA providers are basically HTTP based custom web services. These services accept CAPTCHA validation requests in a particular format and respond with finite set of responses that allow the clients to make Boolean choices to allow or disallow the request. clipcaptcha takes advantage of this finite and predictable request and response data set to implement signature based request detection and response system. 2. Setup iptables to redirect HTTP traffic to clipcaptcha. 3. Run arpspoof to redirect the traffic to your machine. 4. Run clipcaptcha in one of its mode of operation. Ok so we constantly tell people not to reuse passwords across sites, because if they are stored in plain text (and leaked) those naughty hackers now have your e-mail address AND your password and can wreak havoc on your life. Which is pretty much true, but Microsoft disagrees and there is some validity to what they say, if you MUST re-use passwords (which you shouldn’t) – do so only on low risk sites (anything without payment details really). 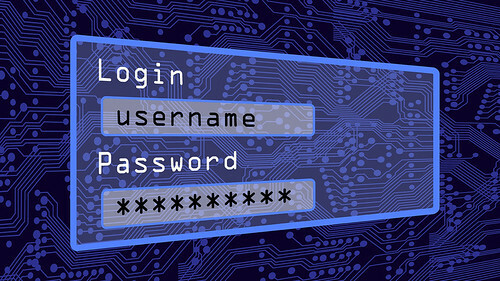 Keep the good passwords for the important sites (like online banking). As for me, I say use a bloody password manager, generate different passwords for every site and make them all strong! A good online password manager is free, and even though some of them appear to not be totally secure (as we wrote a few days ago) – they are certainly better than not using one. Microsoft has rammed a research rod into the security spokes of the internet by advocating for password reuse in a paper that thoroughly derails the credentials best practise wagon. Password reuse has become a pariah in internet security circles in recent years following a barrage of breaches that prompted pleas from hacked businesses and media outlets to stop repeating access codes across web sites. The recommendations appeared logical; hackers with email addresses and passwords in hand could test those credentials against other websites to gain easy illegal access. Now Redmond researchers Dinei Florencio and Cormac Herley, together with Paul C. van Oorschot of Carleton University, Canada, have shot holes through the security dogma in a paper Password portfolios and the Finite-Effort User: Sustainably Managing Large Numbers of Accounts (PDF). The trio argue that password reuse on low risk websites is necessary in order for users to be able to remember unique and high entropy codes chosen for important sites. I’m not sure why we are arguing about this though, I honestly don’t even know any of my passwords any more (or try to remember then) as for one, I have over 100 and I don’t have to. I use a password manager (PassPack in my case). I only need to remember 1 login/password combo and 1 really strong keyphrase (which even the experts agree, is way better than a contiguous password). Users should therefore slap the same simple passwords across free websites that don’t hold important information and save the tough and unique ones for banking websites and other repositories of high-value information. “The rapid decline of [password complexity as recall difficulty] increases suggests that, far from being unallowable, password re-use is a necessary and sensible tool in managing a portfolio,” the trio wrote. Password sets should be reused across groups of websites. Those sites holding little personal information could be placed in the users’ ‘go-ahead-and-hack-me’ bucket protected by codes like P@ssword1, while sites where pwnage would trigger fire and brimstone should be protected by complex and unique login credentials. Hackable groups “should be very exposed” and “should have weak passwords”, the researchers said, because pushing users to light up even a small amount of grey matter “would be wasteful”. 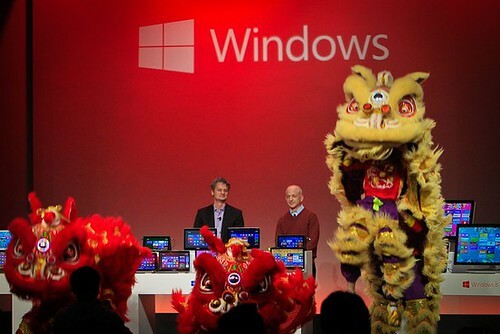 The Redmond research realises the realities of userland security; People are bad at remembering passwords and seemingly worse at caring about the issue of security. Research published in 2012 found the average Brit glued the same five passwords to their 26 online accounts while one in 25 used the same code for everything. The whole issue is kind of sad if you ask me. It’ll be interesting to see if any kind of counter-studies are done on this, or anyone comes out with a rebuttal of any sort. It’s a little odd to release a research paper on something that’s basically an opinion though.